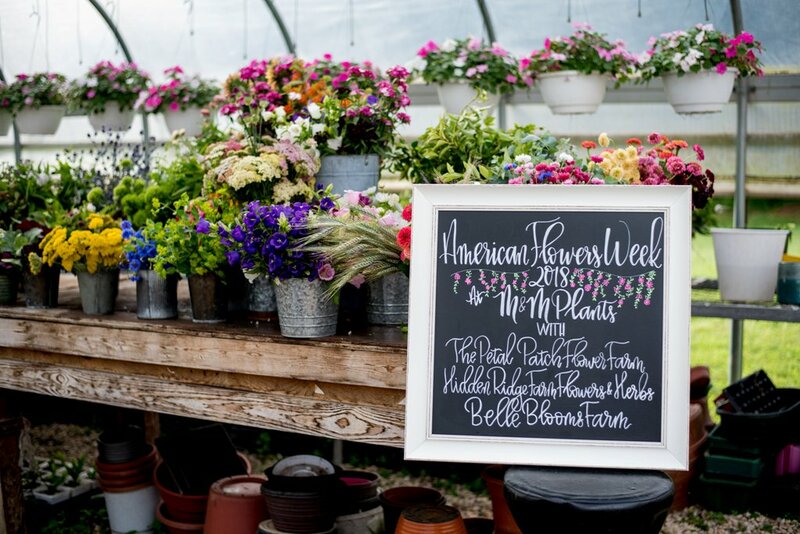 In honor of American Flowers Week, one East Coast florist hosted her second annual Flower Crown Party, inspiring over 50 attendees to M&M Plants and Flower Farm in Dickerson, Maryland on June 27, 2018, leading up to the week-long domestic flower promotion campaign that has taken place annually from June 28 to July 4, since 2015. 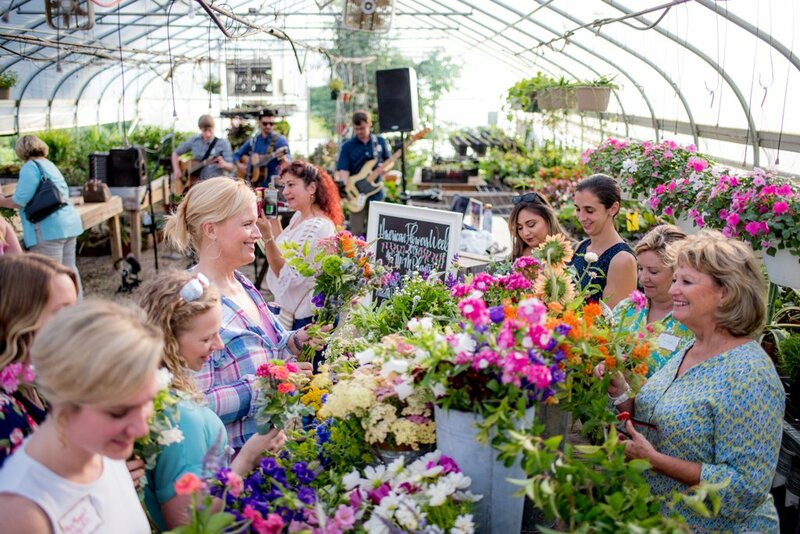 Kelly Shore of Petals by the Shore in the Washington, D.C., area coordinated a farm tour and flower crown-making party complete with live band, potluck-style refreshments, and professional photographer. 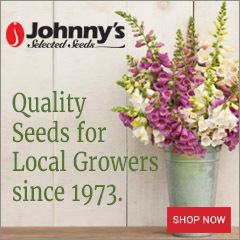 For Kelly, the party was more than a mingling opportunity; it was a way for flower enthusiasts to develop a keen understanding of where flowers come from and how much work it takes for American farmers to bring their product to market. Kelly teamed up with Rose Gold Events to coordinate the promotion and execution of the Flower Crown Party and worked with four flower farms: Petal Patch Flower Farm, Hidden Ridge Flowers and Herbs, Belle Blooms Farm, and M&M Plants and Flowers to provide blooms for the unique crowns. 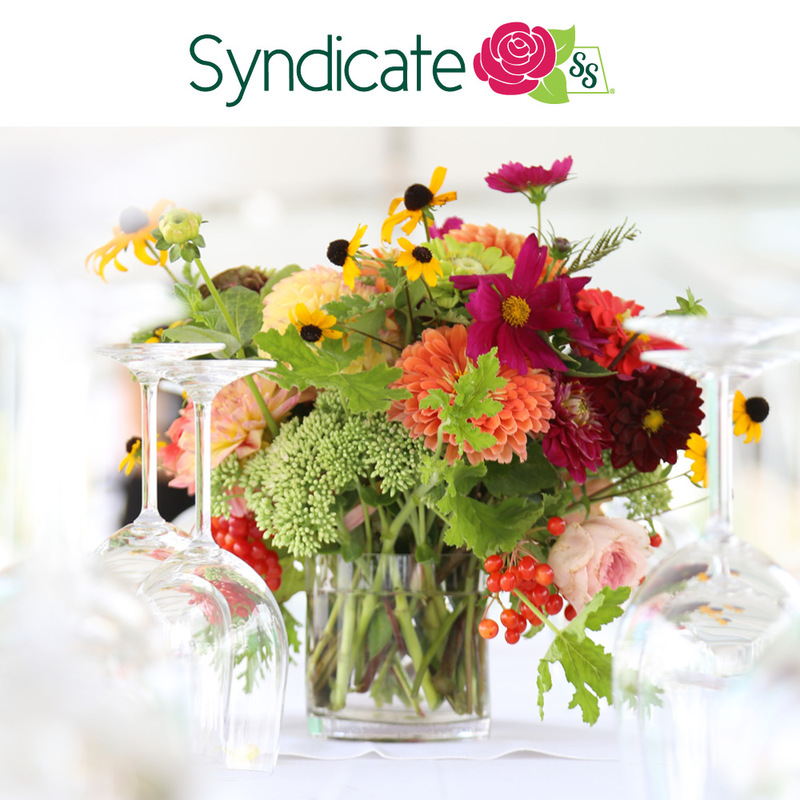 For the sake of teaching the attendees about the plethora of varieties available from domestic flower farms, the designer steered away from classics such as alstroemeria and roses, focusing more on textural blooms that the attendees wouldn’t normally think of, such as raspberries, strawflower, and Veronica. Kelly and her team set up a ‘flower bar’ with buckets of blooms grouped together by color and variety, which encouraged attendees to choose at their will. 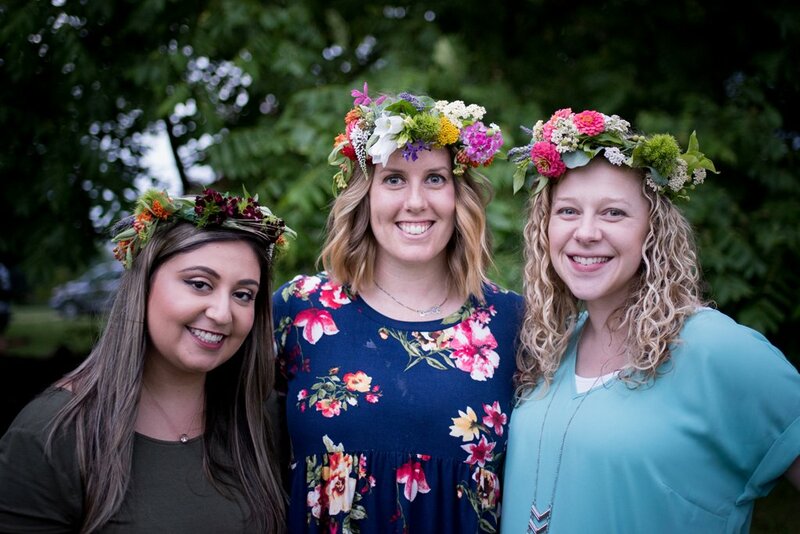 Attendees ranged from florists and farmer-florists to hobbyists and even a horticulture teacher from a local high school – and each tapped into their creative side, constructing flower crowns, hair combs, and petite bouquets. The flower bar allowed the DIY florists to be cognizant of their choices and feel ownership over their designs. 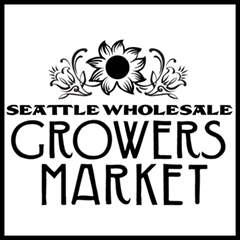 I am enamored by the flower farming community; by all of the tedious, hard work behind producing an incredible final product. People do this because it’s what they love to do. It’s really about supporting families, and the more I connect with people, the more important it is to me to support this community. Along with the party, attendees also enjoyed a tour of M&M Plants & Flowers, led by farmer Madgie McGaughan. 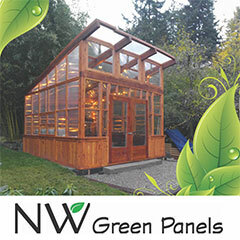 The productive floral enterprise is a fully functioning farm devoted to the sale of plants and flowers, Kelly and her hosts wanted to attendees to gain an inside look into the strenuous labor that goes into planting and harvesting fresh, local and seasonal blooms. The Flower Crown Party has become her favorite event of the summer. 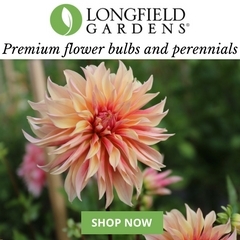 “We wanted to paint a real picture of what flower farming is actually like. It is so life-affirming,” she says. Rosco’s Fresh Cut Flowers provided their healthiest, most beautiful blooms for the event, giving the arrangements a “straight-from-the-garden” feel. Enjoying light hors d’oeuvres in Midtown Kansas City’s stylish, naturally-lit Market Studio, floral designer and speaker Andrea K. Grist and 20 flower enthusiasts chatted about the importance of American Flowers Week while constructing freeform-style arrangements. On June 29th, 2018, Grist taught a popular Girls’ Night Out floral design workshop with The Bloom Academy, which asked her to host the event during American Flowers Week. Andrea shared with guests the importance of using locally-grown blooms in their floral arrangements, focusing on popular design techniques to create more freeform, natural centerpieces full of texture and whimsy. 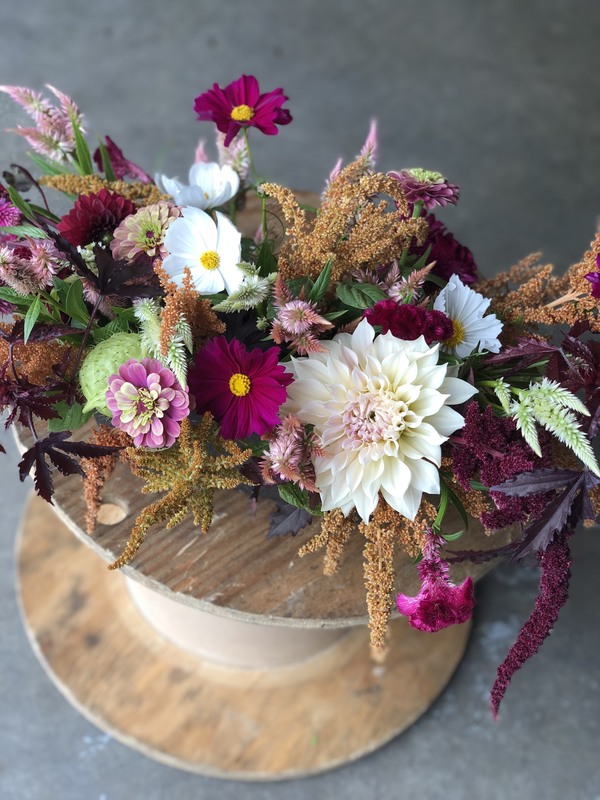 For her Girls Night Out workshop, Grist and her students played with colorful, textural blooms in their freeform designs. 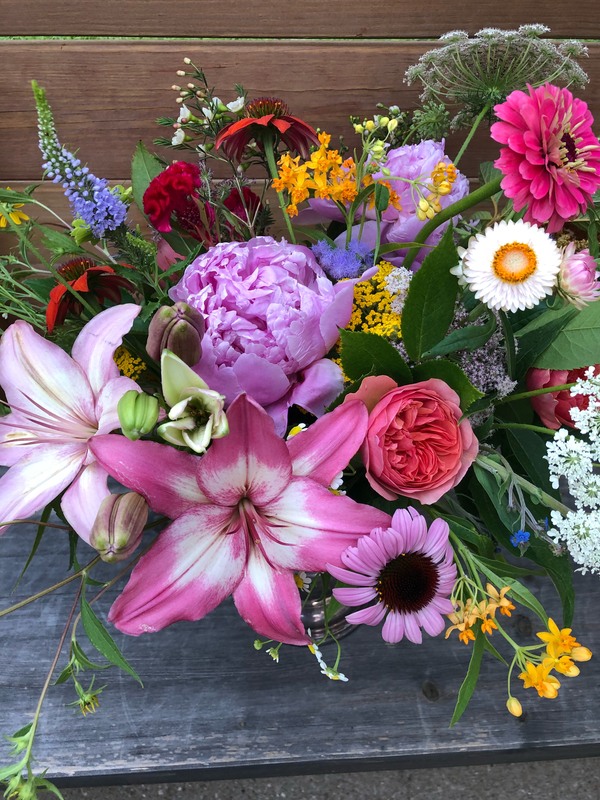 Andrea worked with the farmers at Rosco’s to select the best of the best for her Girls’ Night Out workshop: just-picked peonies, Asiatic lilies, zinnias, dahlias, cosmos, and other vivid blooms. 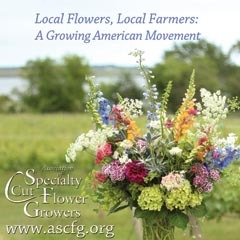 Instead of focusing on one palette, the instructor explained to her attendees that when buying from local farms, florists must adapt and trust that farmers will supply the best blooms of the moment. In this way, Andrea taught that beautiful arrangements can based on personal taste, artistic creativity, and flexibility. “I stuck to basic design principles, used American-grown flowers, and used chicken wire instead of foam to continue with the sustainability theme,” she adds. 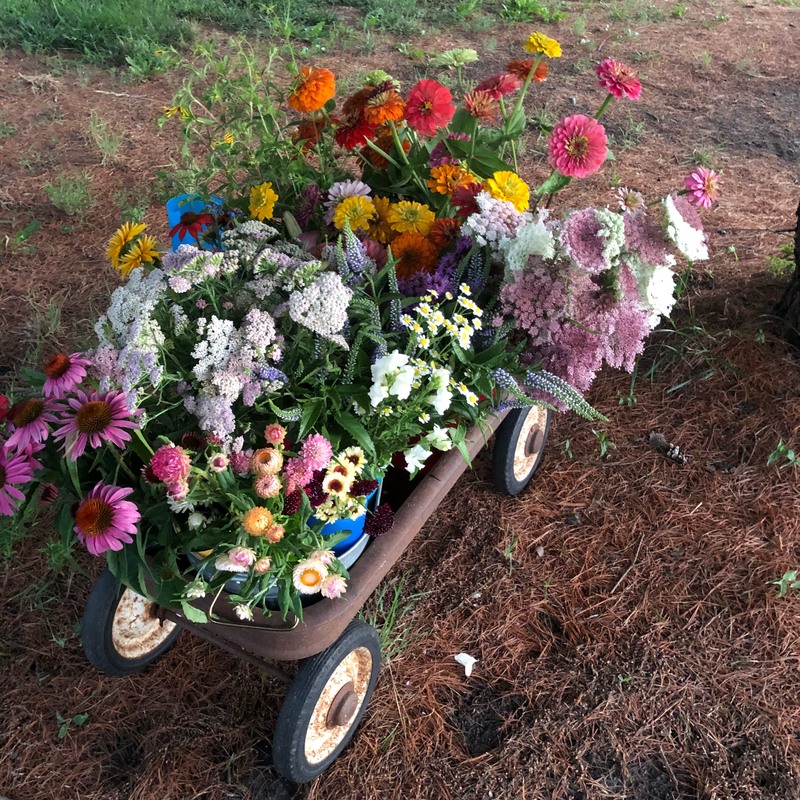 Slow Flowers contributor, Mackenzie Nichols is a freelance writer and experienced floral designer. 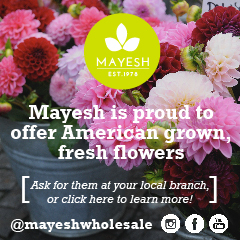 She writes regularly for the Society of American Florists’ Floral Management magazine, and her work also appears in The Boston Globe, The American Gardener, Canadian Florist, and Tastemakers music magazine. She interned with MSNBC, Donna Morgan, and The American Horticultural Society and holds a Bachelor’s degree in Journalism with a minor in Music Industry from Northeastern University. Mackenzie worked as a floral designer for Fern Flowers in Boston’s Back Bay Area, and Tiger Lily Florist, the top flower shop in Charleston, South Carolina. She lives in Manhattan’s East Village.